The Internationalization Collaborative offers faculty and administrators the opportunity to come together as a learning community to address challenges, share ideas and help one another implement comprehensive internationalization strategies at our member institutions. It is also an outlet for identifying key issues that need further research and advocacy. Past meetings have included discussions about sustaining comprehensive internationalization, faculty engagement, international learning outcomes, assessing internationalization, and strategies for moving ahead. ACE co-hosts the Internationalization Collaborative as annual event in partnership with the Association International Education Administrators (AIEA). Leadership teams from ACE and AIEA member institutions are welcome to join. 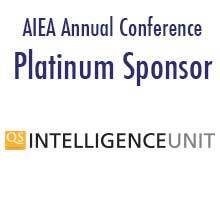 Registration for the AIEA Annual Conference​ is separate. Learn more at the ACE-AIEA Internationalization Collaborative website. The ACE/AIEA Internationalization Collaborative is an annual event for faculty and administrators to come together as a learning community to address challenges, share ideas and help one another implement comprehensive internationalization strategies at our member institutions. It is also an opportunity to identify key issues that need further research and advocacy. The Internationalization Collaborative is a one-day conference that meets in conjunction with the AIEA Annual Conference. Registration for the Collaborative is separate from the AIEA Annual Conference, and members are encouraged to attend both events. More information and registration is available on the ACE website. Building on our previous two Collaborative meetings, which focused on curriculum internationalization, we will explore the potential for using the co-curriculum to advance international learning. The Internationalization Collaborative is a one-day conference that meets in conjunction with the AIEA Annual Meeting. Registration for the Internationalization Collaborative is separate from AIEA registration, and we encourage you to attend both events. Integrating co-curricular learning experiences into a comprehensive internationalization strategy. Is your institution ready? What administrative structures, resource commitments, and rates of participation by faculty and staff are essential for success? How does the type of institution and its mission shape strategy? Strengthening the links between co-curriculum and curriculum. How can we bridge the two? How do we develop common learning outcomes? Designing effective co-curricular programs. How do we design experiences that include the entire community and mobilize local learning resources, including international students and local communities? How do we get beyond “activities” so that we focus on student learning? How do we measure success? How do we recognize student achievement? Engaging faculty and staff. Who “owns” the co-curriculum? How can faculty integrate co-curricular experiences into the curriculum? Who are the partners who can facilitate this process? What development opportunities can be offered to help both Student Affairs staff and faculty build the co-curricular experience together? The role of accreditation. How can internationalization of the co-curriculum be part of a comprehensive quality enhancement project? What are some useful institutional experiences in this area? The role of the SIO in addressing these goals and challenges. What are the key relationships that have to be developed? Are there formal reporting lines, or is a networked approach more appropriate? Questions? Please contact ACE at [email protected]. The Internationalization Collaborative is a one-day conference that intensely focuses on a single aspect of campus internationalization. It is designed for any campus leader with a strong commitment to the internationalization of their institution. Building on themes developed during our 2015 convening, the 2016 meeting of the Collaborative will focus on the courses and co-curricular experiences that are required of all undergraduate students. Typically known as the general education curriculum in the United States, these experiences are increasingly the focus of innovation and experimentation. Designed to complement the themes of the AIEA Annual Conference, the program will begin by highlighting the views of senior leadership and their approach to curriculum internationalization. We will learn how presidents and provosts think about general education requirements, how and when they decide to evaluate their goals and effectiveness, and how they design the processes and systems that lead to review and improvement. What are the opportunities and challenges that I will face when using the general education curriculum to advance international learning? How can I contribute to the development of international learning goals that are broadly supported by administrators and faculty? How can I contribute to a broader discussion of learning goals in the general education curriculum—goals that may not include international learning as the top priority? How do I stimulate innovative approaches to international teaching and learning among our faculty? Do I need a faculty development plan? What innovative, cost-effective pedagogical tools are available for providing an international experience to all students? Saturday, February 14, 2015, 8:00 a.m. The American Council on Education and the Association of International Education Administrators co-sponsor an annual day-long Internationalization Collaborative on the Saturday preceding the AIEA Annual Conference. Designed to complement the themes of the AIEA Annual Conference, our agenda will emphasize the perspective of senior leadership and their approach to internationalization. We will learn how presidents and provosts set institutional goals, how and when they decide to include international learning objectives when they set these goals, and how they design the processes and policies that lead to changes in the curriculum. How can I lead a planning process that is inclusive, while sustaining commitment and momentum over an extended period? Should my institution approach curriculum change as part of a comprehensive approach to internationalization? How do I develop a consensus on learning goals at my institution, including broad agreement on terms like international, global, and intercultural learning? Are there ways to align internationalization of the curriculum with learning goals for multicultural education? What are the opportunities and challenges with an approach that focuses on the internationalization of the general education curriculum? What innovative, cost-effective pedagogical tools are available for delivering global competence in the curriculum? How can institutional partnerships support these efforts? How do we further develop the international expertise of our faculty? The Internationalization Collaborative is a broad network of institutions that are committed to accelerating internationalization on their campuses. For the past decade, the Collaborative has met annually in order to share models of good practice and bring together colleagues from across the nation. The theme of the 2014 Collaborative Annual Meeting is "Leading Internationalization in Financially Challenging Times: Strategy, Collaboration, and Innovation." 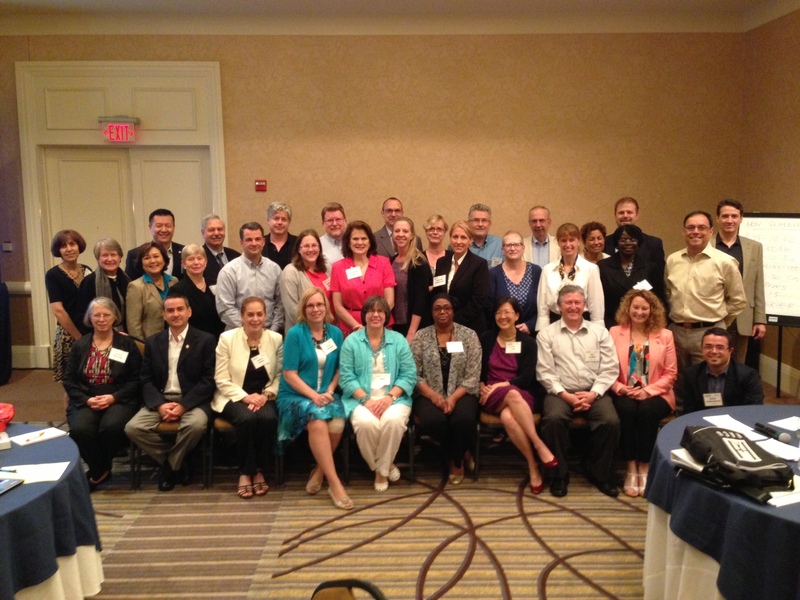 The 2014 Collaborative is co-sponsored with the American Council on Education (ACE). ACE and AIEA held the first Institute for Leading Internationalization in June 2013, an opportunity for campus leaders in international education. Leading Internationalization is designed for senior campus leaders with responsibility for internationalization, including senior international officers.